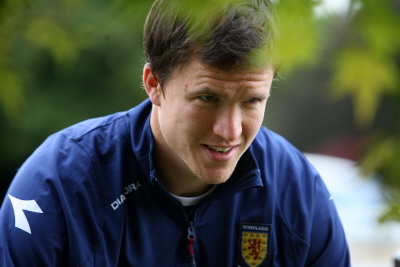 Wigan Athletic have announced on their website that the transfer of Gary Caldwell from Celtic (where he may or may not have been forced to live in a tree) has gone through today. The defender, who would have been out of contract at Parkhead in the summer, had a medical at Middlesbrough last week and was set to be reunited with his former manager Gordon Strachan at ‘Boro but a late bid from Wigan, and presumably the chance to play in the top tier of English football, persuaded the Scotsman to opt for The DW Stadium instead. Caldwell (whose brother, Stephen, plays for Burnley) will be charged with shoring up The Latics’ leaky defence, which currently has conceded the most Premier League goals this season – a statistic not aided by the 9-1 drubbing at the hands of Tottenham Hotspur at the end of November. The 27 year old has signed a four-and-a-half year deal with Wigan and will become their third purchase of this window, after goalkeeper Vladimir Stojkovic and centre-back Steven Gohouri, making it clear that Roberto Martinez’s priority in January is fortifying his back five.